The impressive Google Body application that was showcased in Google’s Honeycomb presentation is now available in the Android Market. The Google Body app allows you to explore your body in detail, and has been described as ‘Google Maps for the human body’. Watch a quick video demonstration after the jump. 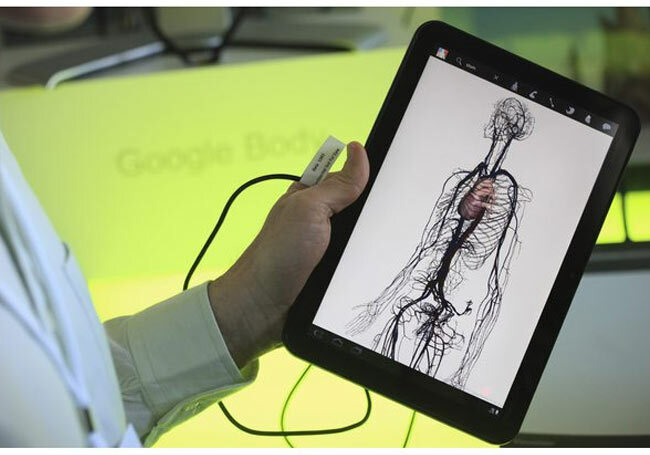 The Google Body Android application allows you navigate and search an interactive 3D model of human anatomy, and detailed 3D model of the human body. Currently a female body with a male body arriving on the app as an update to arrive later in the year. You can view different anatomical layers, zoom in, and navigate to parts that interest you. Click to identify anatomy, or search for muscles, organs, bones and more. To download it onto your Android tablet or device visit the Android Market. Have a look and our article on Android vs iPhone to see which smartphone and mobile platform is best for you.